Montreal‘s typical delights with urban and gourmet discoveries are part of this original guided bike tour. With our certified professional guides, discover Montreal’s different neighborhoods and taste our best food! 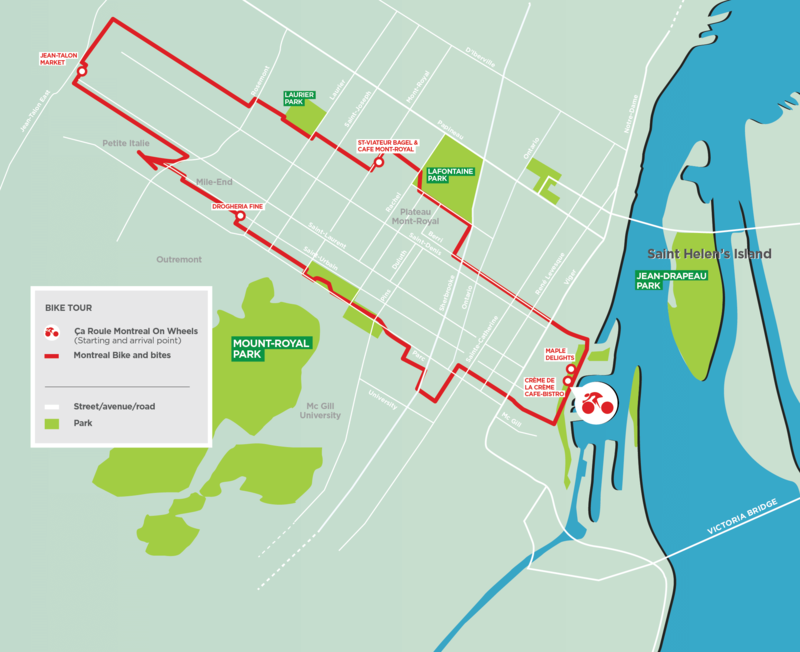 Combined with some walking and lots of spicy comments about the history, architecture and food of Montreal, this bike tour will undoubtedly whet your curiosity. Old Port of Montreal, the Village, La Fontaine Park, Plateau Mont-Royal, Mile-End district, Jean Talon food market, Little Italy, Mount-Royal Park, McGill University campus, Business District and Old-Montreal’s famous Place D’Armes with the Notre-Dame Basilica.